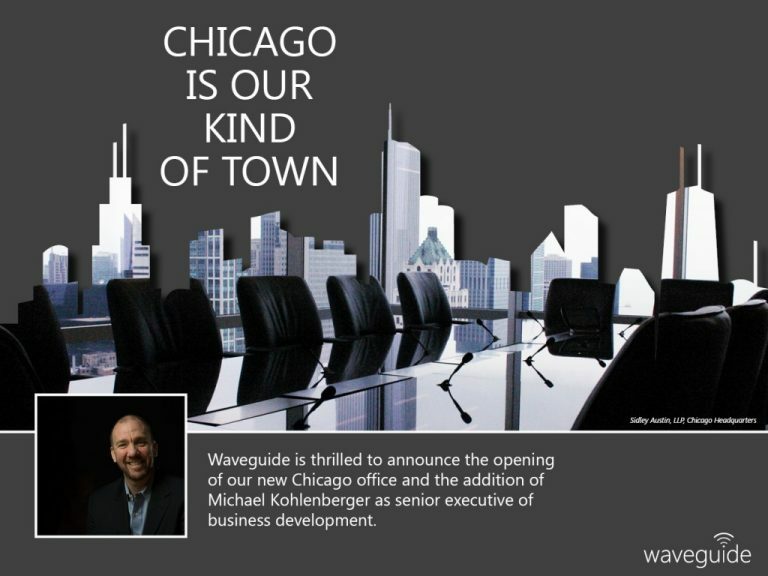 Waveguide Consulting Inc. announces the opening of a new office in Chicago and the addition of Michael Kohlenberger as senior executive of business development. “With Mike in this new role, we plan to increase our opportunities in Chicago and throughout the Midwest. We see tremendous potential to develop more business in these markets and believe Mike can be a big help with that,” says Waveguide’s CEO, Scott Walker. Mike is charged with bringing new client opportunities from both end-user clients and channel partners to Waveguide. He has a long history of working with architects, program managers, developers and real estate professionals. Most recently, Mike was an independent sales consultant and before that he spent eight years in a business development role at Thomson Reuters/Hildebrandt Baker Robbins and CS Technology. Headquartered in Atlanta, Waveguide also has offices in San Francisco, Los Angeles, Houston, Raleigh and Tampa.